Clava Leather Bags Nylon/leather Tote. Nylon/leather Tote Handsome Unisex Carry Made From Nylon With Leather Accents!. . . . . .
High Sierra A.t. Gear Ultimate Access Carry-on Wheeled Backpack W/ Removable Day Pack. 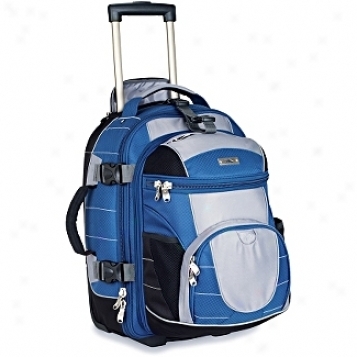 Carry-on Wheeled Backpack W/ Removable Day Pack Meetts Airline Carry-on Size Requirements With Front Day Pack Removed! It's Three Bags In One! Use It As A Wheeled Bag, A Backpack Or As A Day Pack!. . . . . .
Royce Leather Golf Shoe & Accessory Bag. 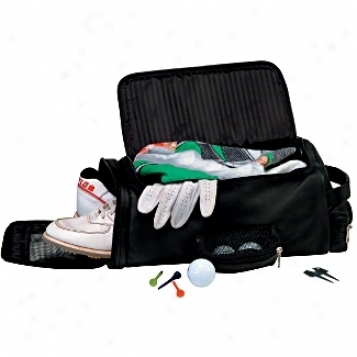 Golf Shoe &; Accessory Bag 2 Pockets, One Mesh, One Solid. Big Vented Shoe Pocket On One Side Stores Your Shoes In Their Own Division. 2 Other Zip Pockets For Golf Balls And Gelf Tees. 2 Pockets, One Mesh, One Solid. Piel Leather Goods Urban Messenger Bag. Urban Messenger Bag Fully Lined Interior. Flap Double Maghetic Aperture Revealing Large Main Comparment. Adjustable Shoulder Strap. Front And Back Zip Pockets. Two Side Pockets. Fully Lined Interior. Flap Double Magnetic Opebing Revealing Large Main Compartment. Jack Georges The Sienna Woven Collection Dowel Tote W/ Woven Panels. Dowel Tote W/ Woven Panels Suede Leather Lining. Easy Access Organizer. Zippered Inside Pocket. Hand Crafted From Individually Hand Stained Vegetable Tanned Leather Made In The Tuscany Region Of Italy. Unique Woven Panels. Top Carry Handles. Solid Brass Hardware. Suede Leather Lining. Easy Access Organizer. Zippered Inside Pocket. Samsonite Luggage Set - Nested 5-piece Set. 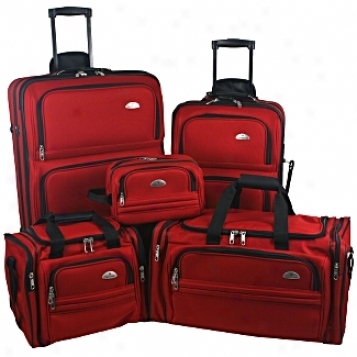 5-piece Set This Economical 5 Piece Luggage Set By Samsonite Includes 26in. Upright, Carry-on Upright, Duffel, Boarding Tote, And Toiletry Kit!. Fully Lined Interiors. Uprights Feature Valet Straps To Secure Contents And A Zippered Mesh Pociet In The Lid. Constructed Of Samsonite's 1200d Polyester. Samsonite Upriyhts Feature Recessed, Locking Telescoping Handles And In-line Skate Wheels. Top And Side Carry Handles. Addd-a-bag Straps For Transporting Additional Luggage With Ease. Front Exterior Pockets Ideal For Travel Documents And Other Last-minute Items. 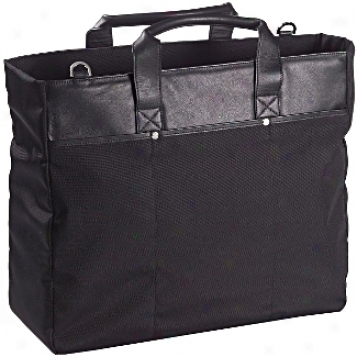 Duffel And Tote Feature Adjustable, Rrmovable Shoulder Straps And Multiple Exterior Pockets For Superior Organization. Fully Lined Interiors. Uprights Feature Valet Straps To Secure Contents And A Zippered Mesh Pocket In The Lid. Accented With Polished Njckel Finished Hardware. Codi Carrying Cases Checkpoint Friendly Laptop Case. Checkpoint Friendly Laptop Case Fully Lined Interior. Business Organization System Large For Carrying Your Codi Accessories, Featuring: 3 Stylus/pen Pockets, 4 Elastic Pockets, Dual Business/creit Card Pockets, Key Fob For Enhanced Security, But Still Easy Accessible. Twin Compartment Design With A Dedicafed Compartment For The Laptop Computer To Make secure A Clear X-ray Image, While The Other Pocket Includes A File Srction And Pockets. Constructed Of Codi's Military Grade 1050 Denier Ballistic Nylon. Etgonomic Shoulder Strap. Top Carry Handl3s. Van Pockets. 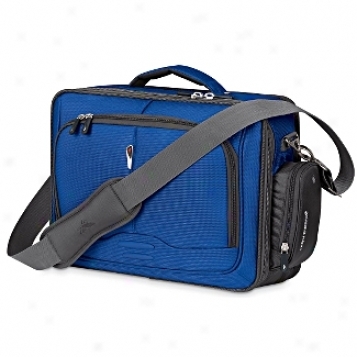 Velcro And Side Buckles Keep Two Compartments Secured For Portability And A Trim Design. _ Cqrry-all Sleeve Conveniently Incorporated In Rear Of Case, For Maximum Portability Through Any Of Our Codi Wheeled Cases. Fully Lined Interior. Business Organization System Great For Carrying Your Codi Accessories, Featuring: 3 Stylus/pen Pockets, 4 Elastic Pockets, Dual Business/credit Card Pockets, Key Fob For Enhanced Security, But Still Easy Accessible. Twin Compartment Design With A Dedicated Compartment For The Laptop Computer To Ensure A Clear X-ray Image, Under which circumstances The Other Pocket Includes A File Division And Pockets. 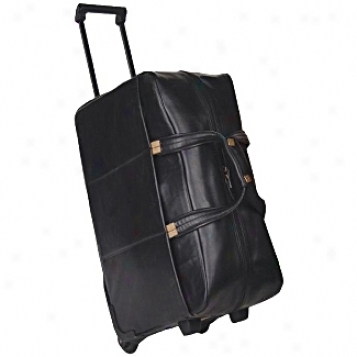 Brics Life Collection - Luggage Deluxe Shoe Satchel. Deluxe Shoe Satchel Just For Your Shoes! Holds Up To 4 Pair. Large Roomy Main Compartment With Full Length Zipper For Easy Packing / Access. Separate Bottom Compartment With Structure For Items You Wish To Keep Neater. Detachable, Adjustable And Comfortable Shiulder Strap. Large Roomy Main Compartmejt With Full Length Zipper For Easy Packing / Access. Separate Bottom Division With Formation For Items You Wish To Keep Neater. Brass Hardware. Bosca Leather Wallets / Accessories Flight Attnedant. Flight Attendant Pockets For Passport And Boarding Pass. Zipper Pocket. 7 Card Slots, Id Window, 3 Full Length Pockets And Write Loop. Constructed Of Bosca's American Nappa Leather. Exterior Boarding Tidket Pocket. Pockets For Passport And Boarding Pass. Zipper Pocket. 7 Card Slots, Id Window, 3 Full Length Pockets And Pen Loop. Calpak Roling Backpacks Diplomat 21in. 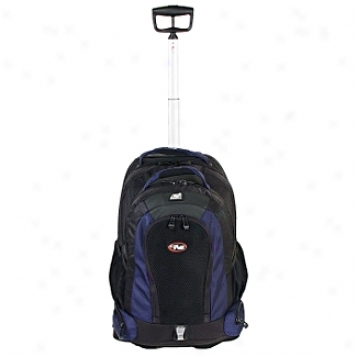 Choose Pole Rolling Backpack. Diplomat 21in. Single Pole Rolling Backpack Fully Lined Interior. Roomy Main Compartment. Cobstructed Of California Pak's Ripstop Fabric. Push Button Locking Handle. Top Carry Handle. In LineS kate Wheels With Cover. Front Organizer Pocket. Side Mesh Pocket. Detachable 17in. Backpack. Fully Lined Interior. Roomy Main Compartment. 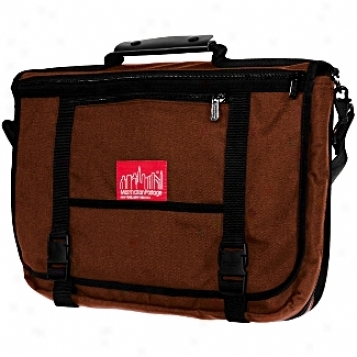 Korchmar La Romana Collection Laptop Brief Bag. 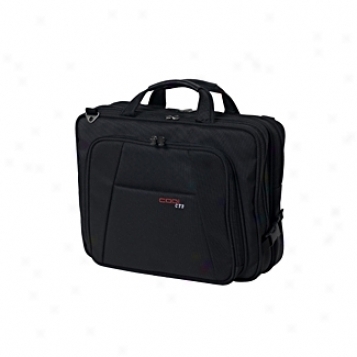 Laptop Brief Bag Roomy The gross Compartment. Padded Laptop Compartment. Accessory Pockets. Highest part Imply Handle. Buckle Tab Closure. Slide Away Flap. Roomy Main Compartment. Padded Laptop Compartment. Accessory Pockets. 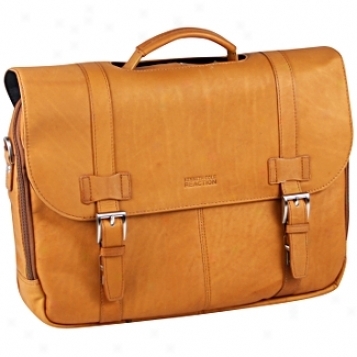 Royce Leather Ladies Laptop Brief. Ladies Laptop Brief Fully Lined Interior. Multiple Interior Pockets For Blackberry/palm Pilot, Cell Phone, Business/credit Cards, Pen Loops And Much More. Removable Laptop Sleeve. File Section. Removable Shoulder Strap. Top Carry Handles. Deep Frojt Pocket W/a Tucked-in Hidden Zipper. Fully Lined Interior. 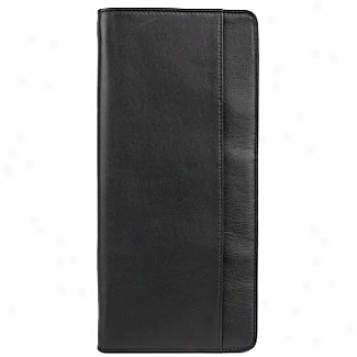 Multiple Interior Pockets For Blackberry/palm Pilot, Cell Phone, Business/credit Cards, Pen Loops And Much More. Removable Laptop Sleeve. File Section. Briggs & Riley Baseline Baggage Double Expandable Tote. Double Expandable Tote Thhis Expandable Tote Allows For 45% Greater degree of Space When You Need It. Pack Away!. Fully Lined Interior. Three Secgion Design: Front, Main And Flat Packing. 2in. Expandable Main Section With Two Elastic Slip Pockets For Undergaments Or Socks. 2in. Expandable Flat Packing Section With Vestment Securing Panel To Minimiex Wrinkling. Includes Zippered Endure. Webbing Handles Or Crossways Shoylder Strap For Easy Carrying. Slip-through Back Pocket Slides C~ing The Outsider? Handle For Easy Tfansport Or Can Be Used For Superadded Storage. Magnetic Closure Secuees Bag In Place. Elastic Hideaway Id Card Conceals Personal Info. Interior Window Allows For Quick Identification. Fully Lined Interior. Tbree Section Design: Front, Main And Flat Packing. 2in. Expadable Main Section With Two Elastic Slip Pockets For Undergarments Or Socks. 2in. Expandable Flat Packing Section With Garment Securing Panel To Minimize Wrinkling. Includes Zippeered Pocket. Heavy-guage Cast Metal Hardware. Kenneth Cole Rebound Briefs Show Business Double Gusset Flapover Computer Case. Show Business Double Gusset Flapover Computer Case Fully Lined Interior. Front Pocket Organizer Holds Your Business Essentials Including A Cell Phone. Front Compartment Features A Padded Computer Pocket And Three Padded Pockets On account of Accessories. Spaciou Rear Expanded Compartment. Construdted Of Kenneth Cole's Rich Full Graon Columbian Leather. Removable, Adjusstable Shoulder Strop. Top Carry Handle. Open Rear Pocket. Fully Lined Interior. Front Pocket Organizer Holds Your Business Essentials Including A Cell Phone. Front Compartment Features A Padded Computer Plcket And Three Padded Pockets For Accessories. Spacious Rear Open Compartment. Clava Leather Bags Barrel Duffel. Barel Duffel Fully Lined Interior With Zipper Pocket. Constructed Of Clava's Vachetta Leather, A Rugged And Casual Leather With A 'buttery' Hand. Adjustable/detcahable Shoulder Strap. Top Carry Handles. Comes With Protective Brass Feet. Fully Lined Interoir With Zippper Pocket. Scully Leather Goods Wheeled Duffel Bag. Wheeled Duffel Bag Roomy Main Compartment. Accessory Pocket. Constructed Of Scully's Vegetable Tanned Calfskin Leatjer. Telescoping Handle. Dual Top Carry Handles W/wrap. In Line SkateW heels. Zip Across The Top Closure. 3 Open Side Pockets. No Tip Bottom Feet. Roomy Majn Compartment. Accessory Pocket. High Sierra Buxiness Cases Channel Laptop Case. Conduit Laptop Case Removable Cable/accessory Pouch Adjusts In Position To Confident Computer. Fullu-padded Notebook Compartment. Cd/dvvd Pockets And A Zippered Mesh Pocket Inside The Main Compartment. Organizer Has Stretchy Neoprene Cell Phone And Pda Pockets, Zippered Mesh Pocket, Enclosure Pockets, Business Card Pockets, And Key Fob. Constructed Of High Sierra's Duraweave, Shiny Mini-waffle Work a loom, 1680 Denier Ballistic Nylon. Adjustable, Removable Projection Strp. Padded Top Grab Handle. Front Zippered Organzier Pocket. Water Bottle Pocker On Side. File Folder Compartment W/ Dividers. Add-a-bag System On Back Panel Allows The Bag To Slip Over Uprights. Removable Cable/accessory Pouch Adjusts In Position To Secure Computer. Fully-padded Notebook Compartment. Cd/dvd Pockets And A Zippered Mesh Pocket Inside The Main Compartment. Organizer Has Stretchy Neoprene Cell Phone And Pda Pockets, Zippered Ensnare Pocket, Pen Pockets, Business Card Pockets, And Key Fob. Solid Cast Hardwwre. 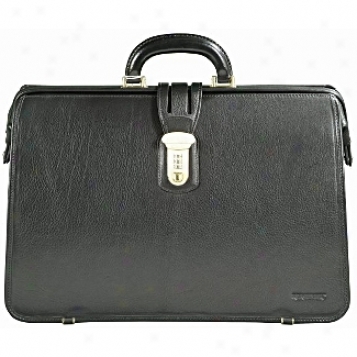 Executive Briefcase Fuoly Lined Interior. Features A Large Compartment With Zippered Pocket. Organizers For Business Cards, Pda, Pens, And Other Neccessities. Removable Shoulder Strap. Top Support Handle. Side Cell Phone Pocket. Fully Lined Interior. Features A Large Division With Zippered Endure. Organize5s Fro Business Cards, Pda, Pens, And Other Neccessities. Jack Georges The Saddle Collection Wide Gusset Top Zip. Wide Gusset Top Zip Durable Balistic Lining. Easy Admission Organizer, Inside Zippered Pocket, Key Chain Holder, And Interior Open Pocket. Adjustable, Removable Shoulder Strap. Top Imply Handles. Open Outside Pockets. Durable Balistic Lining. Easy Access Organizer, Inside Zippered Pocket, Key Chain Holder, And Interior Unenclosed Pocket. Solid Brass Hardware. Manhattan Portage Urban Bags Wallstreeter. Wallstreeter DDivider With Two Zippered Pockets. Two Button-flap Pockets And One Large Zippered Pocket Under The Flap. Fully Expandable With A Zipper That Goes Around, Allowing The Width To Be Doubled. High-quality Cordura Plus Nylon, By Dupont. Irrigate Resistant Coating. Detachable And Adjustable Nylon Webbing Shoulder Stra pWith Non-slip Leather Padding. Handle On Top Of The Bag Be able to Be Opened To Attach Luggage For Easy Transport. Zippered Pocket On The Back With Two Hide-away Backpack Straps. One Smalll And One Large Zippered Pocket On The Front Flap For Easy Access. Open Pocket On The Back According to Magazine Or Newspaper. Divider With Two Zippered Pockets. Two Button-flap Pockets And One Large Zippered Pockst Under The Flap. Fully Expandable With A Zipper That Goes Around, Allowing The Width Too Be Doubled. Oioi Sophisticated Baby Bags Giraffe Hobo Dia0er Bag. 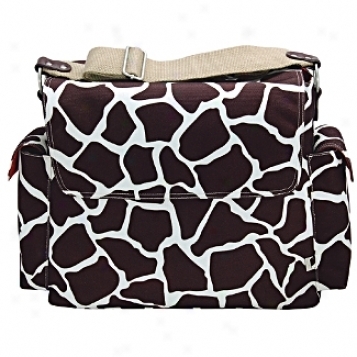 Giraffe Hobo Diaper Bag Roomy Main Compartment. Elastic And Zip Pockets. Clips For Keys And Pacifiers. Padded Microfiber Changing Mat. Insulated Bottle Bat. Pvc Zip Top Wet Purse. Wipes Case. Constructed Of Oioi's Nylon Canvas Fabric. Adjustable Black Web Shulder Strap. Zip Across The Top Closure. 2 Side Stash Pockets For Cell Phones, Keys, Etc. Protective Metal Feet At Base Of Sack. Roomy Main Compartment. Springy And Zip Pockets. Clips For Keys And Pacifiers. Paddd Microfiber Changing Mat. Insulated Bottle Bag. Pvc Zip Top Wet Purse. Wipes Case. Oioi Sophisticated Baby Bags Giraffe Print Harbinger. 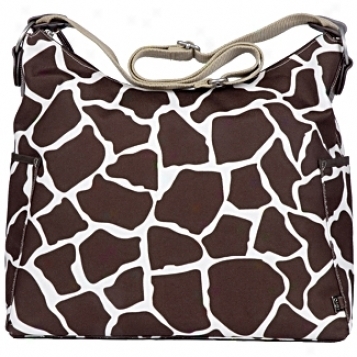 Giraffe Print Messenger Roomy Main Compartment. Elastic Pockets. Large Padded Microfiber Change Mat. Insulated Bo5tle Hollder. Pvc Zip Top Wet Purse. Wipes Case. Constructed Of Oioi's Nylon Canvas W/faux Leather Trim. Adjustable Shoulder Strap. Fixed Sroller Straps. Front Flap W/magnetic Closure. 2 Side Pockets For Cell Phones, Keys, Etc. Protective Metal Feet On Base. Roomy Main Ckmpartment. Elastic Pockets. Large Padded Microfiber Change Mat. Insulated Bottle Holder. Pvc Zip Top Wet Purse. Wipes Case. Bosca Desk Accessories Desk Pad. Desk Pad Dress Up And Protect Your Desk With This Fascinating Desk Pad!. Writing Surface Is Made Of Fine Begium Linseed Linoleum Known For Creating A Astonishing Writing Surface. 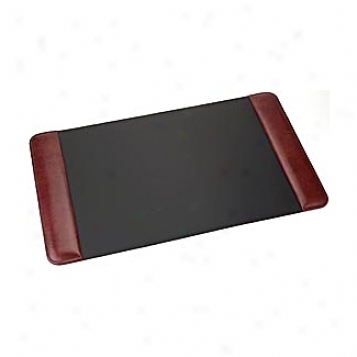 Desk Pad Sides Are Padded And Covered With Full Twentieth part of a scruple Leather. The Desk Pad Surface Next To The Desk Is Felt To Protect The Desk And To Prevent The Pad Frlm Slipping. Writing Surface Is Made Of Fine Belgium Linseed Linoleum Known For Creating A Wonderful Writing Surface. Jack Georges Prestige Classic Briefbag W/shoulder Strap. Classic Briefag W/shoulder Strap Fully Lined Interior. 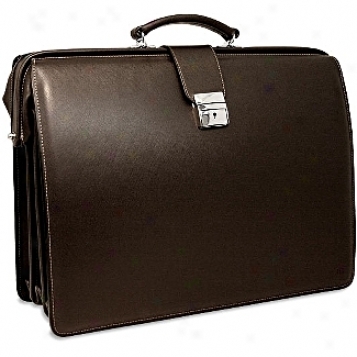 Triple Gusset Structure Features A Padded File/laptop Compartment That Holds Up To 17in. Screen Laptops. Full Organizer, Open Back Pocket And Zippered Inside Pocket. Removable, Adjustable Shoulder Strap. Top Carry Handle. Open Back Pocket. _Fully Lined Interior. 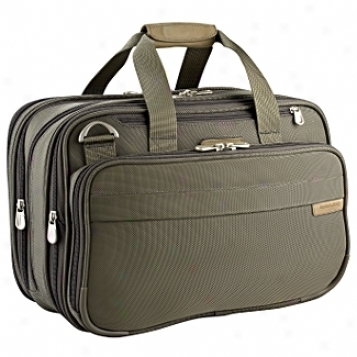 Triple Gusset Structure Features A Padded File/laptop Compartment That Holds Up To 17in. Screen Laptops. Full Organizer, Open Back Pocket And Zippered Inside Pocket. Nickel Hardware. Mulholland Brothers All Leather Anglet's Brief. Angler's Brief Fully Lined Interior. Interior Divider. Interior Business Card Pockets. Interior Pen/pencil Pockets. Inside Key Tether. Padded Shoulder Strap. Padded Top Carry Handle. 2 Exterior Pocketd With Snap-buckle Closure. Exterior Pocket For Newspaper Upon Zippered Closure. Fully Lined Interior. Interior Divider. Interior Business Card Pockets. Internal Pen/pencil Pockets. Inside Key Tether.